Sometimes that tattoo you once thought you wanted on your body permanently, no longer brings you the joy it once did. Let’s be honest, as much as tattoos are a work of art and can have significant meaning, they can also be a lapse of judgement. At Baywood Laser & Cosmetic Clinic, we offer laser tattoo removal services in Toronto to ensure that you don’t have to stay inked for the rest of your life with a tattoo that no longer has the same meaning to you. You wouldn’t be the first, nor the last, to regret (or remove) a tattoo. Some people get a spontaneous amateur tattoo, while others do extensive research on industry professionals like celebrity tattoo artists to find the right person to complete a detailed, intricate piece of body art. No two tattoos are alike, which is why the tattoo — and tattoo removal — experience is different for everyone. The thing is, there are a lot of misconceptions that surround tattoo removal; how long it takes, how effective it is, the various options etc. Before you opt to remove that regretted tattoo, it’s essential to do your research not only to pick the best option but to make sure you know exactly what to expect. As a laser clinic in Toronto with years of experience removing tattoos, administering Botox treatments, providing laser hair removal, and so much more, we are trusted industry professionals. Our clinic is staffed with professionals who personally perform tattoo removal procedures using our state-of-the-art lasers. We are experts in laser tattoo removal who have completed over 30,000 procedures since 2001. When it comes to tattoo removal you can trust us to not only provide an effective service, but to answer any of the burning questions that are holding you back from removing that regretted tattoo. We remove tattoos by using our Q-Switched Alexandrite and ND-Yag lasers. A board-certified physician on staff will personally handle the lasers, which release strong light beams that get absorbed by the ink particles of the tattoo. Multiple lights are used, as specific ink colours absorb certain light colours. The lasers fragment these particles, which are then absorbed by your body. We use a combination of three state-of-the-art lasers with various wavelengths to make sure we can remove even the most stubborn of colours and the most of elaborate of tattoos. At Baywood Clinic, the cost for laser tattoo removal starts around $100 per session. The typical price paid is anywhere between $160 and $225, which covers a few sessions. We offer discounts for both incomplete tattoos, and sets of multiple tattoos that require removing. We are proud to provide cost-effective tattoo removal in Toronto — you shouldn’t have to pay obscene amounts to correct a regretted tattoo. Every tattoo is different, so each one takes a different amount of time to remove. There are usually a few sessions required to reduce the appearance of your tattoo. There are numerous variables to consider when it comes to identifying how many sessions it will require to remove your tattoo. The amount of necessary sessions is dependent on the colour of your tattoo, size, location, and how long you’ve had it. Whether your tattoo is amateur or professional will also impact how long the removal process will take. An amateur tattoo will require 3-6 sessions, while you’re looking at an 8-12 week process if you have a professional tattoo. Book a consultation with a professional to effectively confirm how many sessions it will take to remove your tattoo. Does It Matter Where my Tattoo Is? 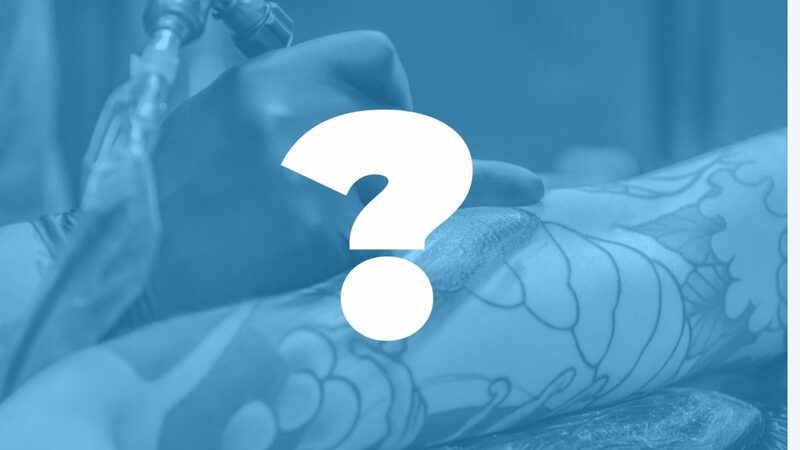 We will remove any and all tattoos, but it’s important to note that where your tattoo is located does impact how long the removal process will take. The general rule of thumb is the closer to your heart, the easier a tattoo is to remove. This means that, for example, an ankle tattoo will be more time consuming to get rid of. Where Should I Go for Tattoo Removal? It’s best to go to a clinic operated by educated professionals to remove your tattoo. When you choose Baywood Clinic for your treatment, you can trust that board-certified laser doctors with ample experience will treat you. We have over 30,000 tattoo removal procedures under our belt and have ample experience with operating our high-end lasers. A huge misconception surrounding laser tattoo removal is that it’s excruciating. The truth of the matter is that, although the lasers do sting, it’s not that painful as more methods have been developed to make the process easier on the patient. The feeling of the laser is commonly compared to that of flicking an elastic band against your skin. Local anesthetic is used during the procedure to numb the area and lessen discomfort, while ice and creams can be used afterwards. We’d say the discomfort is worth getting your ex-boyfriend’s name removed from your body indefinitely. What Happens After my Tattoo is Removed? After you get your tattoo removed, you may experience mild redness, swelling or itching. This is common and goes away by the following day. These effects can be subsided by using any cooling agent like an ice pack. After your procedure, it’s crucial that you keep the area clean and protected. That means minimal sun exposure and keeping the area sanitary to prevent any infection. The good thing is that there are plenty of products out there like creams that will help keep the area clean and well treated. How Else Can I Remove my Tattoo? Many opt for tattoo removal creams for a quick fix — but this is an all-around bad idea. These creams are packed with damaging chemicals, and none of them are actually FDA approved. Other methods people use include chemical peels, dermabrasion and surgical excision, but these tend to be invasive and oftentimes leave scarring. At the end of the day, laser treatment is really the best (and most comfortable) option. When you come to us to remove your tattoo, you can rest easy knowing that a board-certified physician will personally perform the procedure. We have completed over 30,000 tattoo removal treatments since our inception in 2001, solidifying us as leaders in the industry. We are cost-effective and provide discounts for unfilled outlines, and multiple tattoos. All you have to do is get in touch and book an appointment! Be sure to contact us to learn more about tattoo removal services, and to get any additional questions answered. We’re here to put your mind at ease and to work with you to form the most effective plan of action to remove your regretted tattoo. Toronto Laser Tattoo Removal – Pico-second lasers? Most clinics or spas that use pico-second lasers charge two to three times what we do, using the traditional laser tattoo removal machines, and the results are essentially the same. So, if you are looking for laser tattoo removal in Toronto visit as many clinics as you can. Ask serious questions, do your research. Then visit us and compare. Like the tens of thousands of Toronto tattoo removal patients, we have treated over the last 20 years, we are sure our Doctors will make you feel comfortable and confident. Ask questions about possible complications of laser tattoo removal. It is important to be aware that even with the best equipment, in the most experienced hands, laser tattoo removal can cause complications. Many patients are so anxious to remove their tattoos that they rush into a decision without adequately understanding the possibility that their tattoo removal may no go perfectly. The most common complications, like blistering, minor and temporary pigment changes, and itchiness are generally nothing to worry about. But make sure that you clinic alerts you to all the possibilities and patiently answers all your questions. Tattoo removal can be a very emotional decision. We have had patients come directly from the tattoo artist – really feeling quite upset because the tattoo was not what they wanted. Others are under pressure to remove a tattoo because of an upcoming marriage – marrying “Billy”, but got a “Bobby” tattoo! – or because of an important job interview. At our laser tattoo removal clinic in Toronto, we always encourage patients to step back and think about things before rushing into a removal or cover-up. Removal is not always the best option! With 30% or more of individuals looking for laser tattoo removal within 5 years of getting theirs, it’s really a good idea to think very carefully about getting yours! The location on your body has a lot to do with later regret.